I value my hands! They are very exposed hanging out on the end of wide bars and vulnerable to the cold. 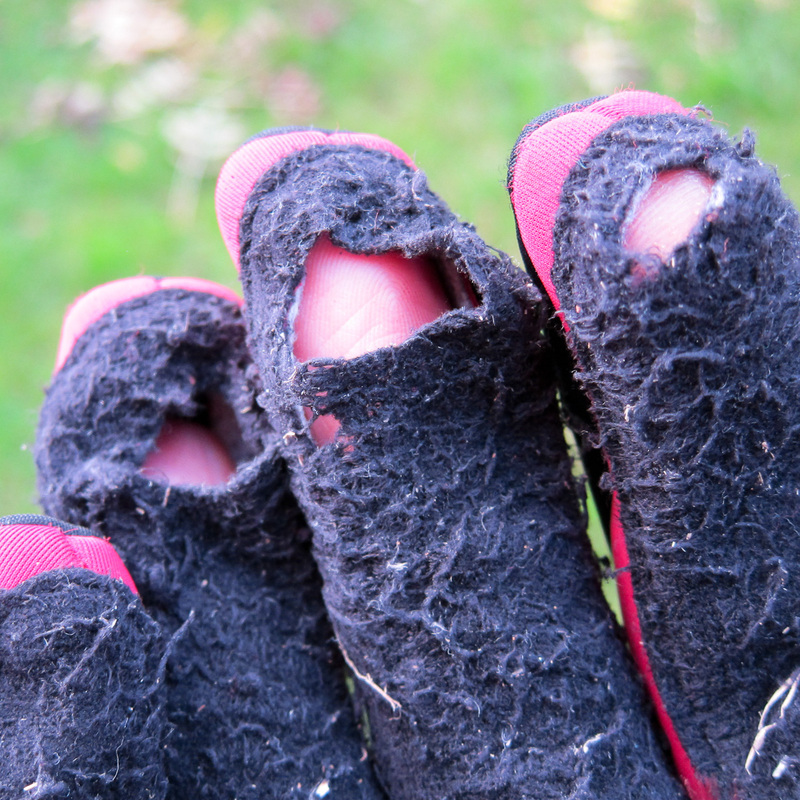 Also gloves tend to be cheap and you don’t gain much space by throwing out the old ones! So that is how this article came about. This isn’t a fancy magazine test where all of the free stuff turns out to be pretty good. I bought and abused all of these gloves myself. I think that the market determines the value of everything – so instead of recommended retail prices I have chosen to list what I actually paid, posted for each pair. As a general point it is good to see that the more recent gloves have touchscreen capable pads on the digits. Look out for the thumb problem though – fingers are okay if you have two hands free, but one handed phone operation requires the thumb (or you will miss that photo of the 2 bucks bounding across your path at dusk on Arran). These date probably from the turn of the millennium. They haven’t seen as much use as they might have because they look impossibly bulky. On the bike, at least for singlespeed commuting, I don’t really notice them. 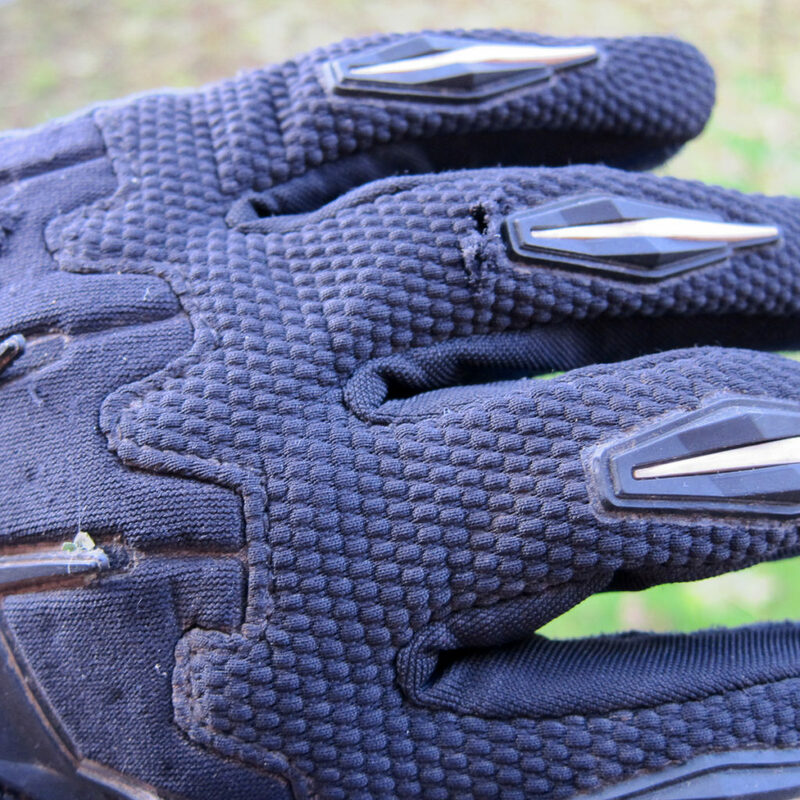 They are modestly insulated and of unknown waterproofness – the reality is that no waterproof glove will work on the bike unless it fits under your sleeves. Dexterity is very poor – at least partly because the whole forehand has a hard rubber coating. At least they have endured and not fallen apart unlike every Altura item that I have bought since. 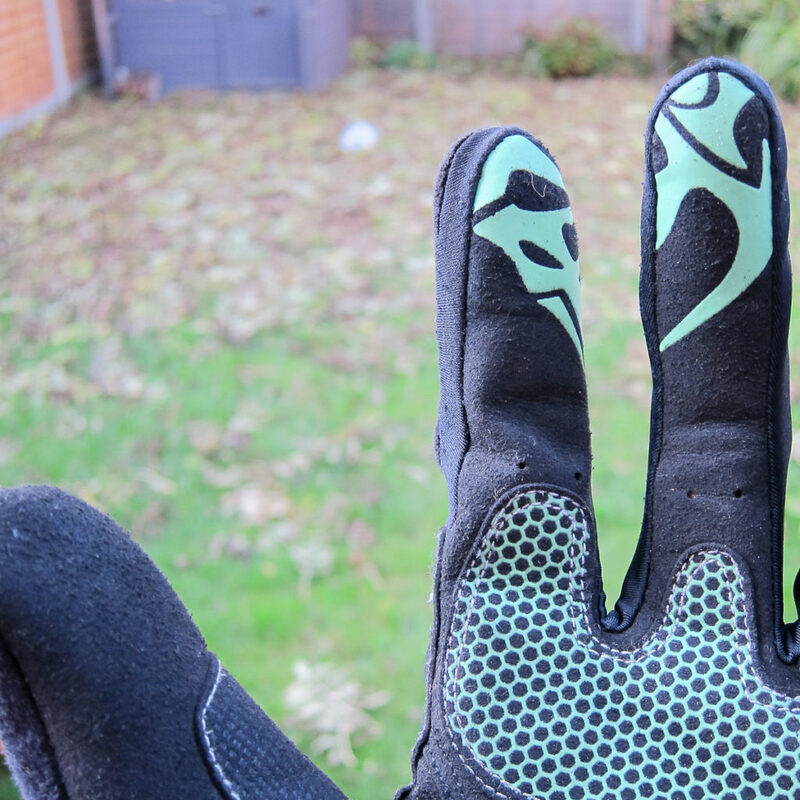 These were my first pair of MTB gloves bought after I started riding again in 2011. They are okay, better than nothing or mitts. Reasonable padding, a terry thumb. According to my purchase history I replaced them after only 2 months. 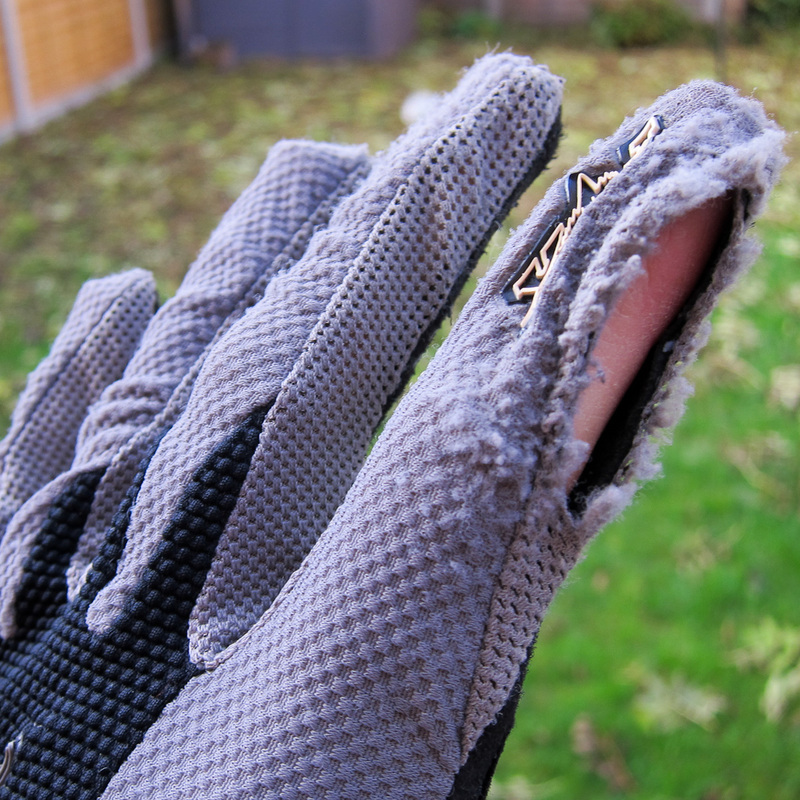 I think that was probably just because they are a bit too ventilated for winter riding. They are currently in service as a weightlifting glove which is why one finger has worn though. These really look the part – constructed from a mix of thick stretchy material (Cordura? ), leather and neoprene. Padded only on the heel of the hand. Velcro failed at some point and was cut off. Total service life 1 year before an index finger poked through. They might have lasted longer if they were truly XXL but they were not true to size and very snug. Found on the floor of the garage, I’m not really sure why they have been kept at all. I think at some point they were the only glove I could find to wear when moving house. I remember buying these wanting something tough with some finger protection. They have rubber mouldings over the finger joints and neoprene over the knuckles. Not easy to tell how effective that would be but they have proved to be tough and are thick enough to wear for most (southern UK) winter rides. When the velcro failed I wondered if I should warranty them and then discovered it had been a year of rides and washes already, so really they hadn’t disappointed. I cut the velcro tabs off and continue to use them occasionally and they are none the worse for it. No terry thumb because they aren’t strictly a cycling glove. They did have 2 touchscreen finger pads but both index finger ones have worn off. I bought these principally for cooler road rides, although they are not actually insulated. Quite thick gel pads and a decent length wrist. 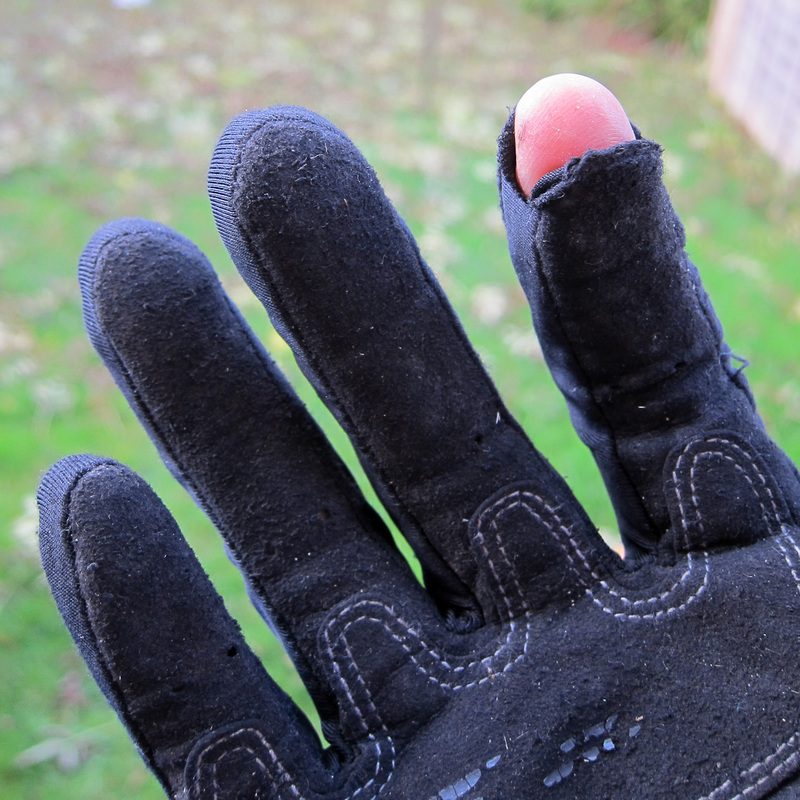 I wore through 4 fingers after about 4 rides, not really sure how but I think that a pretty poor performance. Should definitely have warrantied them. The cut is quite generous and I like the softshell backs so they might work with another pair inside. I’m not sure why I bought these. They are light but well made and seem reasonably tough. Unpadded, but with an extra layer of the palm material sewn on where the pads would be which seems a strange choice. The first 2 fingers have an extra grip pattern eg for braking, not touchscreen compatible. Again I am not really sure why I got these. I was probably looking for more hand comfort which they don’t really deliver on. It is nice to see that they have ditched the pointless velcro fastening since version 1. 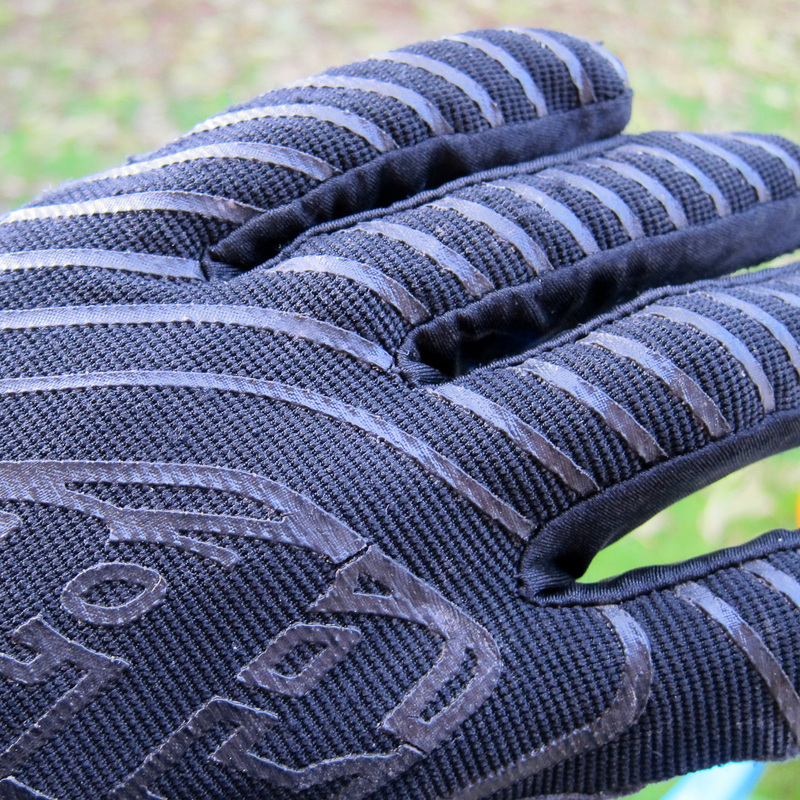 They are the best pair of general use MTB gloves I have with a good material weight and smart design. Padding is still on the heel only, touchscreen pads on 2 fingers. I bought these after a 4 hour solo ride left me with some little finger numbness. These came up in my google search for a solution (and they were on sale for half price). I am not sure what is up with Specialized marketing but I keep up to date with new products and I had never heard of these before. They also score an own goal with their product images – make a product with a unique feature and then only photograph it from the other side! 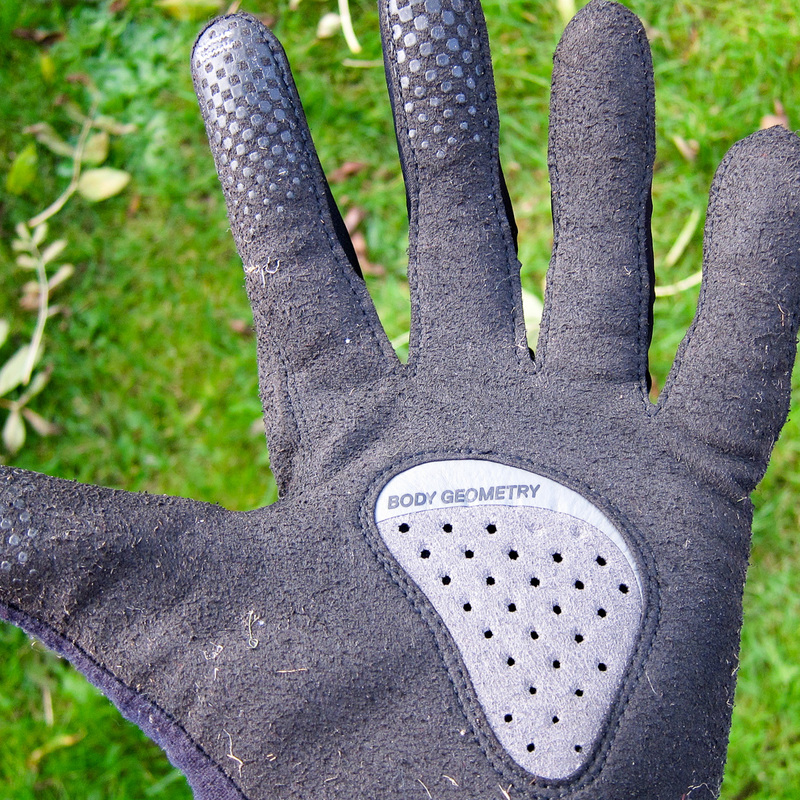 On a normal cycling glove the padding sits on top of your own pads, on these it is the opposite – only the centre palm area has a pad. They are most similar I suppose to an unpadded glove and a soft grip (such as the ESI silicone grips, which are coming back into favour with me). I think that padding the palm regulates how hard you grip the bars, leading to less fatigue. In any case they do work and feel perfectly neutral in use. I wore these for 19 hours on the Bearbones 200 and had no hand discomfort at all. 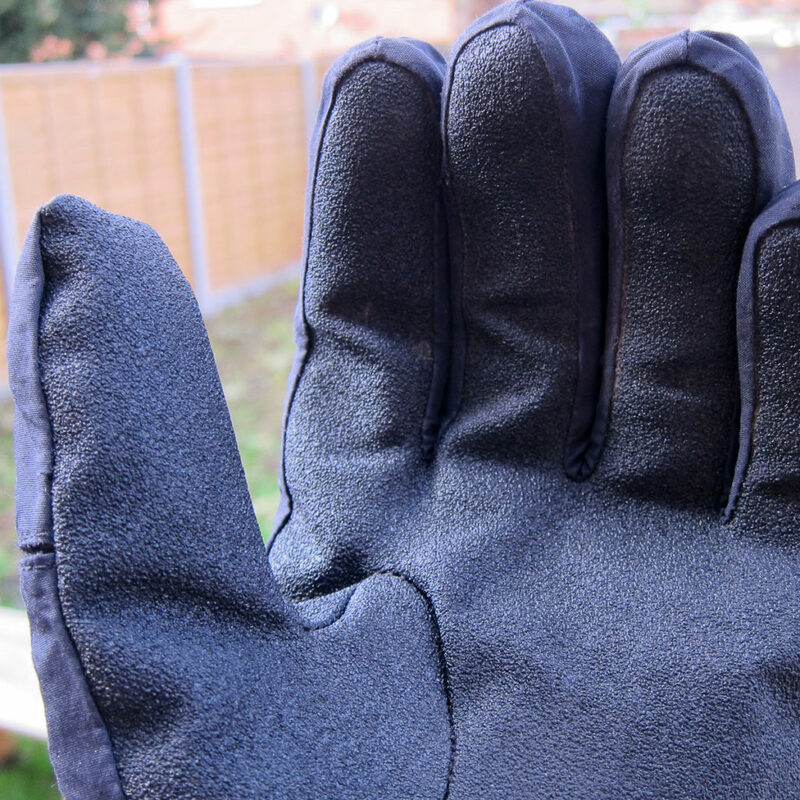 In case it seems like the rest of this article is just a build-up in my search for glove perfection I find them to be ridiculously thin – I mean how breathable does a glove really need to be? They won’t even protect your hands from nettles and I expect that a small number of bramble encounters will completely shred them. 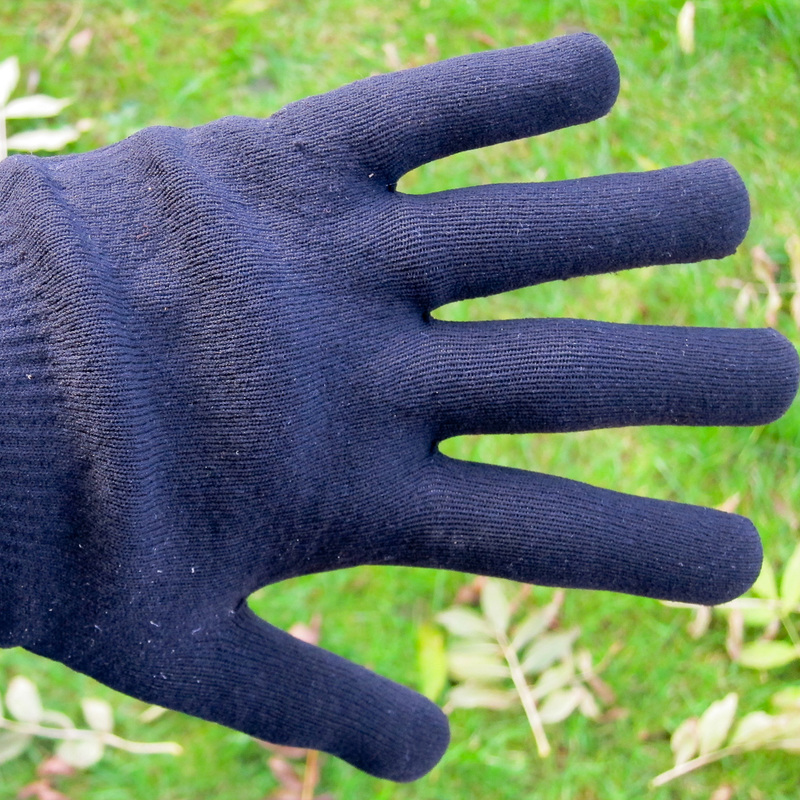 Unless a liner glove will fit inside they will be uselessly cold for ⅓ of the year. They have a thread sewn into thumb and forefinger which is meant to work on touchscreens but it really does not. I have never had a good, guaranteed warm and dry glove before – they tend to be expensive and I tend to not be that much exposed to inclement weather. They have some kind of layered construction with merino inside and a stretchy waterproof outer. Dexterity is pretty good. They have no padding as such but the material has some cushioning making them rather comfortable. Andrew is currently an absent mole, holed up down in Wiltshire and not often seen in Surrey. 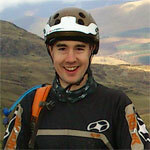 He can be found riding long distance challenges, running and even turbo training. I rather enjoyed reading that! No-one can out-glove Karlos Fandango! What an unusual angle for a review Andrew! And like Karlos, I found it strangely entertaining seeing your purchase logic laid out for me. Like you I have many gloves in my arsenal, perhaps the best being my Gore Bike Wear Power windstopper gloves which work well for winter riding both on and off-road. 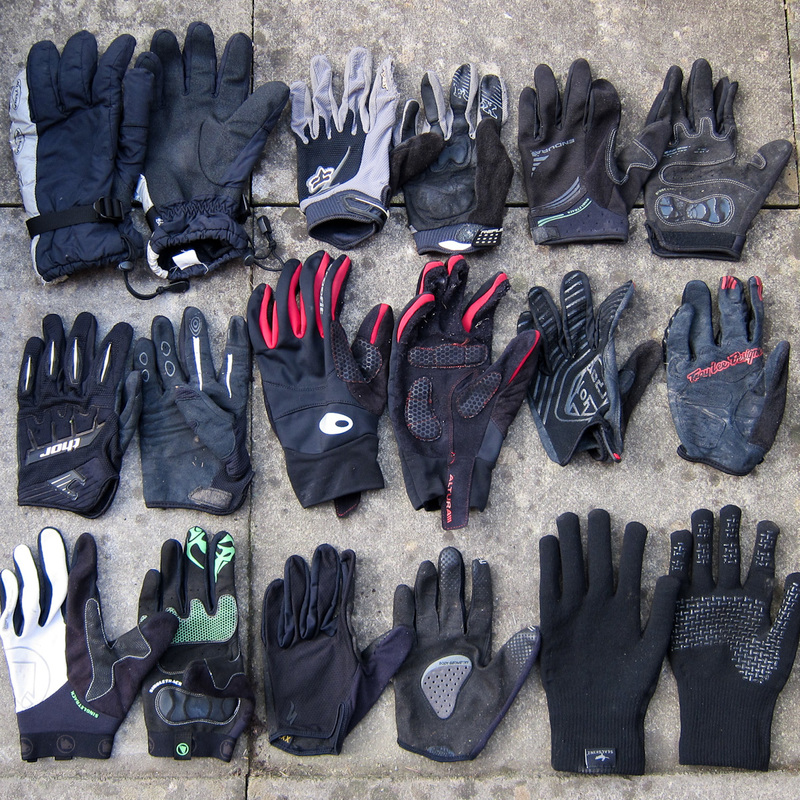 Raceface gloves always seem to come up trumps for me for general trail riding too. So Andrew, what would be your conclusion – one or two that on balance you would recommend above the others? I’d have to say that the Endura singletrack 2 is a pretty well-rounded option, most people would be happy with them I think. Specialized’s Grail pad is really something special but will they bring it to a proper MTB glove? Nice one Andrew, my favourite are Endura Dexter . I find you can wear them pretty much all year round .